Located just north of Annapolis, Maryland and nestled between the Severn and Magothy Rivers, the Arnold Volunteer Fire Department has been protecting the Broadneck peninsula since 1943. Station 17 is a combination department with career staffing provided by the Anne Arundel County EMS/Fire/Rescue Department. Our area is protected by two engines, a paramedic unit and a brush truck. In addition, Arnold Volunteer Fire Department is home to a utility truck and chief’s car. Membership is always open and training is provided. 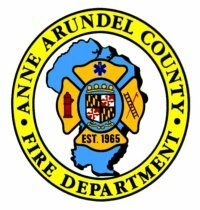 The Anne Arundel County Fire Department is a combination department, with 30 fire stations, that border the southside of Baltimore City in central Maryland. Station 23 is Anne Arundel Counties Special Operations Station and provides the county with hazmat response, confined space rescue, high-angle rope rescue, collapse & trench rescue, swift water rescue, and dive rescue. The station operates a Quint, Rescue Squad, Dive Unit, and Collapse Unit. The station and the Maryland State Police Aviation Division provide the county and the eastern shore of Maryland with a helicopter rescue team.